A former security guard has admitted robbing an Atlantic City casino after he was fired. 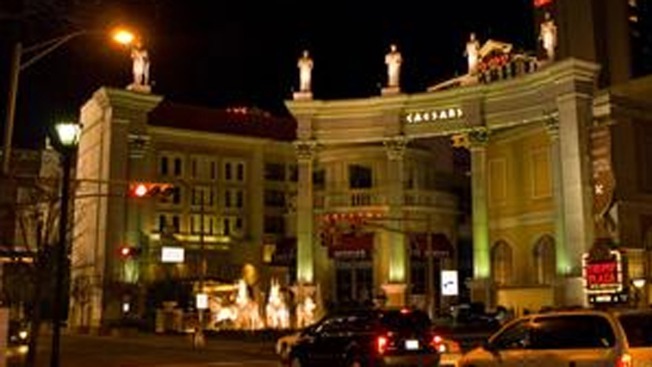 Prosecutors say 21-year-old Izyiah Plummer of Atlantic City and three other men stole three cash boxes at gunpoint from Caesars Atlantic City in 2014 after he was fired from his job. The boxes contained more than $180,000. Plummer pleaded guilty to armed robbery, conspiracy, aggravated assault and weapons charges. Prosecutors will seek a 15-year sentence when Plummer is sentenced in November. Twenty-three-year-old Nathaniel Greenlee of Bear, Delaware, and 22-year-old Donavon Jackson of Wilmington, Delaware, pleaded guilty to second-degree theft. A fourth defendant faces pending charges.